This past weekend we took a drive out into the middle of the Mojave desert with our good friends, Dan and Julie Hovey, to visit a living ghost town called Randsburg. 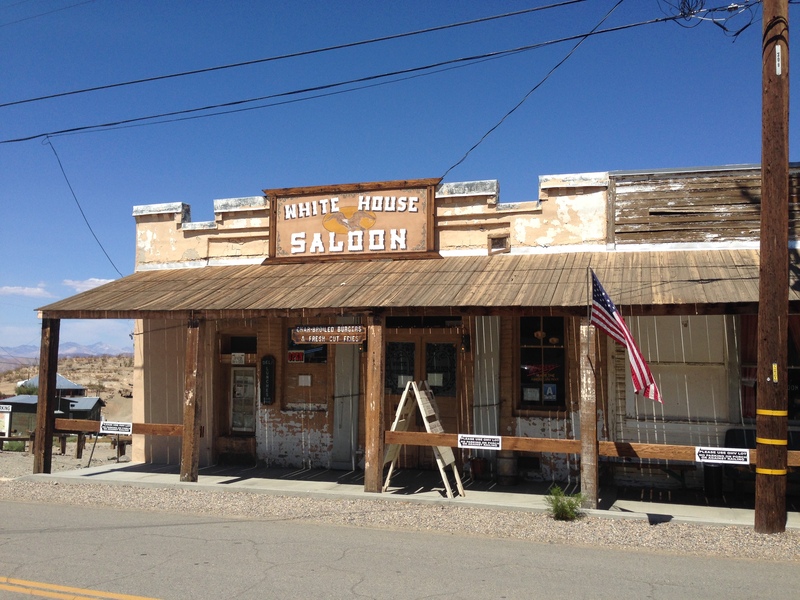 The town is off the beaten path, about 2 1/2 hour drive north of LA, and just off the historic 395 highway. It sits between Death Valley and the bottom end of the Sierra Nevada. 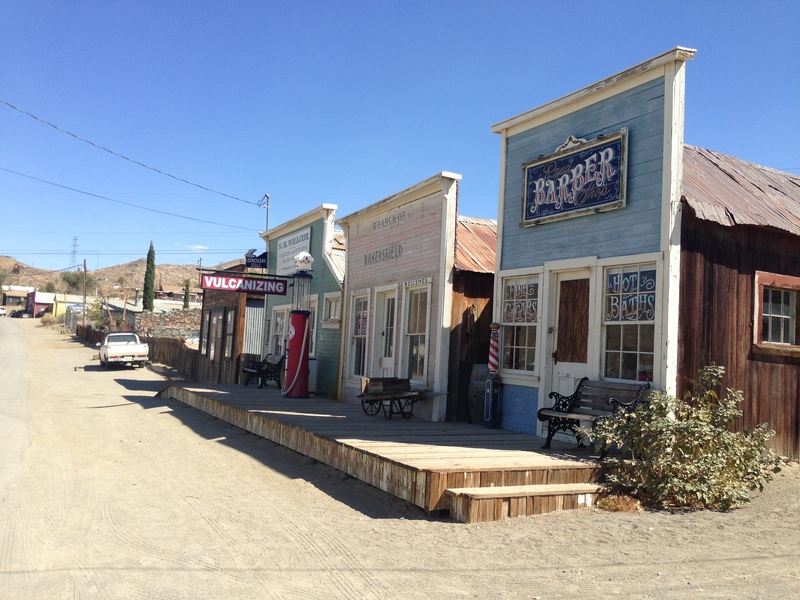 In fact, Randsburg is one of the few living ghost towns that still remains in California, and not surprisingly, the town is less busy during the week, where it resembles an actual ghost town, but is more lively during the weekends. Randsburg was established in 1895 when gold was discovered in the surrounding mountains, by three men: John Singleton, Charlie Burcham, and F. M. Mooers, and even today, it still bears some of the buildings that were built in to the late 1890’s. 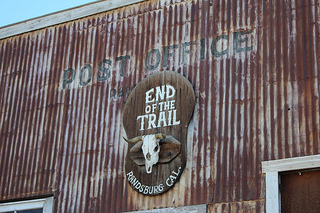 One of the oldest buildings in Randsburg is the Post office which was built in 1896. Since the town is in the middle of the desert, Randsburg is more preferrable in the Fall when the weather cools off, than it is in the heat of the summer months. 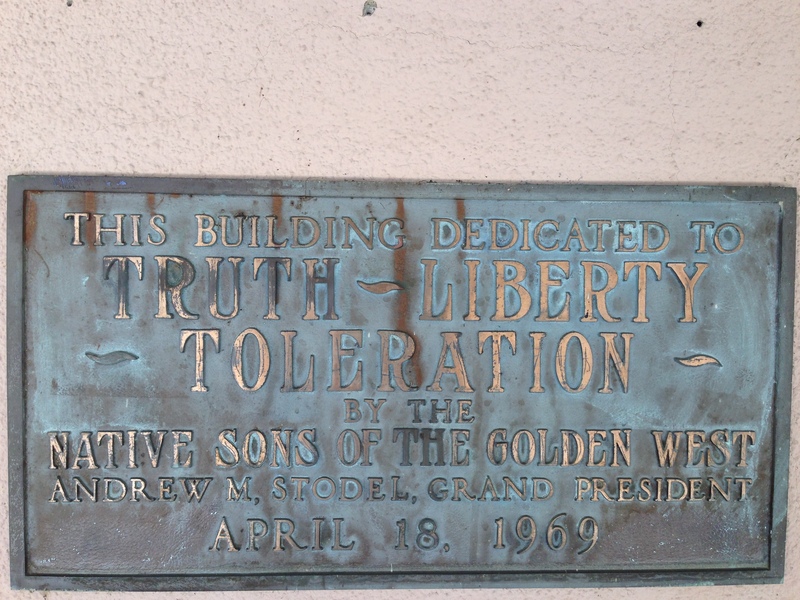 It is it is popular for historians interested in the gold history of California, as well as being a common destination point for off-road vehicles and dirt bikes. In fact the Navy Seals do some training there in order to become acclimated to real desert conditions in the event of a deployment. The Randsburg General Store, which has been running continuously since 1896, is a good place to meet, to have a meal and to wash down your burger with an old-fashioned phosphate soda. 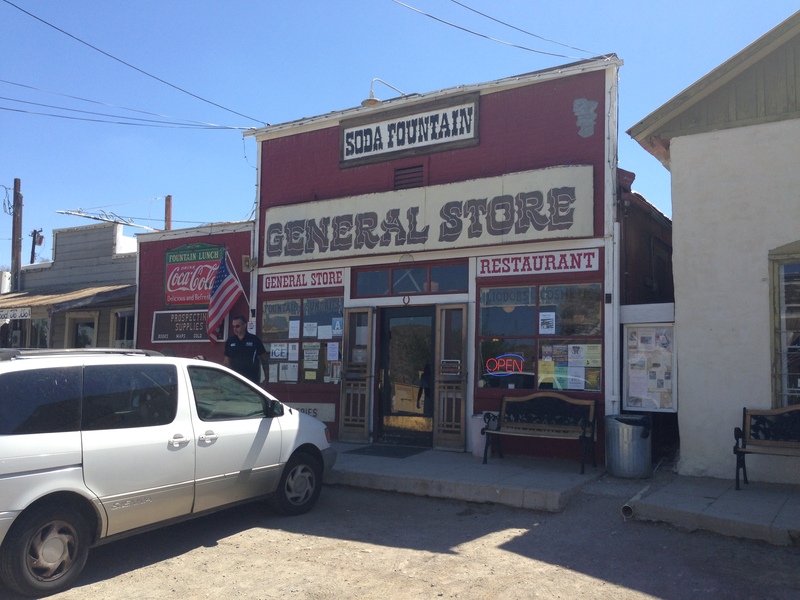 The General Store is known for its long counter and stools, which are all original to 1904, and which is also the same year that the soda fountain arrived. The main street, called Butte Avenue, also features a real western saloon, which is still active today, a couple small inns, a museum and several antique stores. Yesterday, we took the morning to visit a couple more filming locations of the classic 1984 movie, The Karate Kid. You can find Part 1 of our visits here. 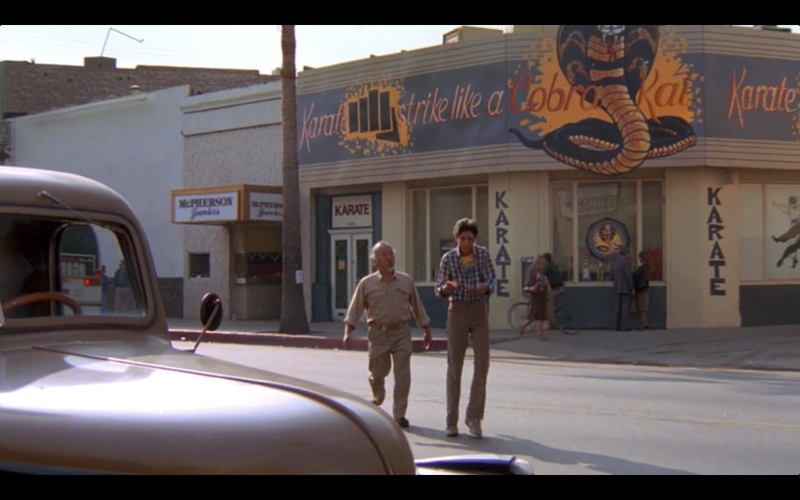 In the previous post, I mentioned that there was actually two separate filming locations for the Cobra Kai dojo. 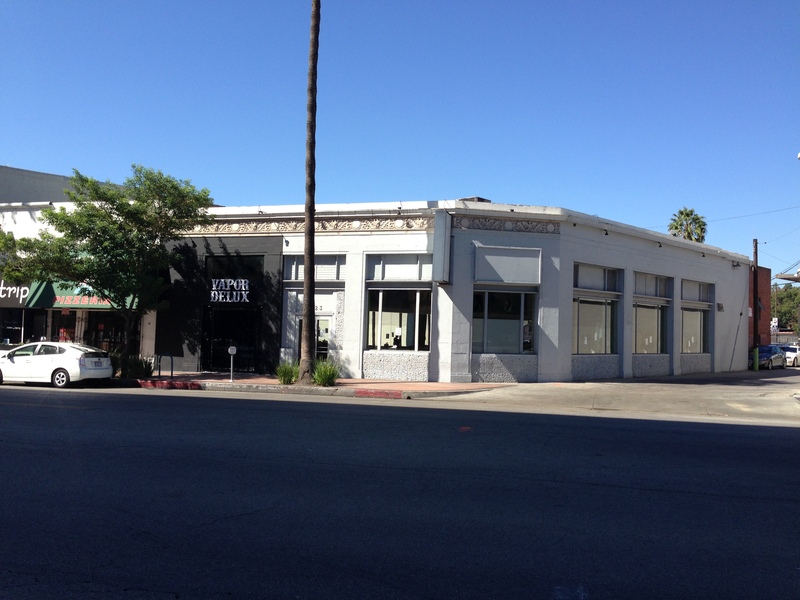 In Part 1, I discussed one location, and yesterday we visited the second dojo location, which is found in the center of LA. 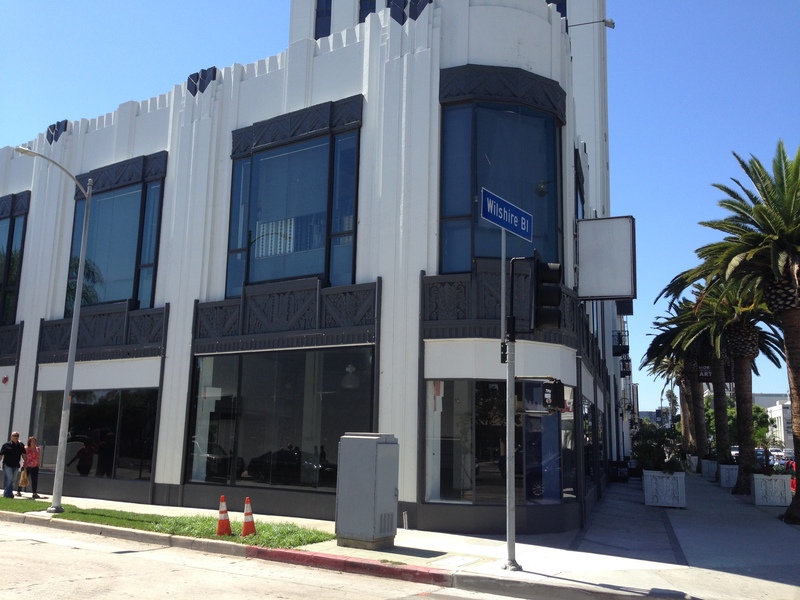 This is the corner of Wilshire Blvd which was the dojo, opposite to where Daniel and his mother were having a meal. This is how it looks today (unfortunately, and going from memory, I did not get quite the right angle – Gah!). This is the same corner of Wiltshire Blvd as it appears in the movie. 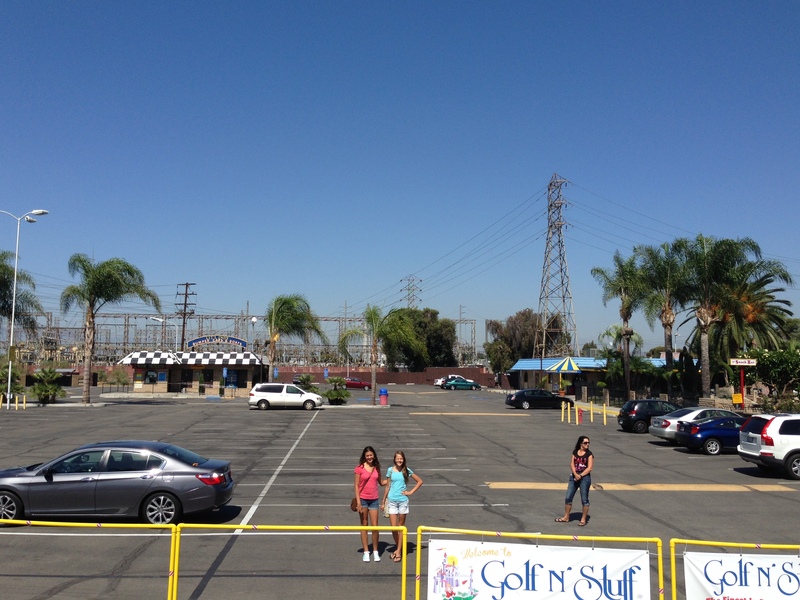 We found the Golf n’ Stuff in Norwalk, LA. 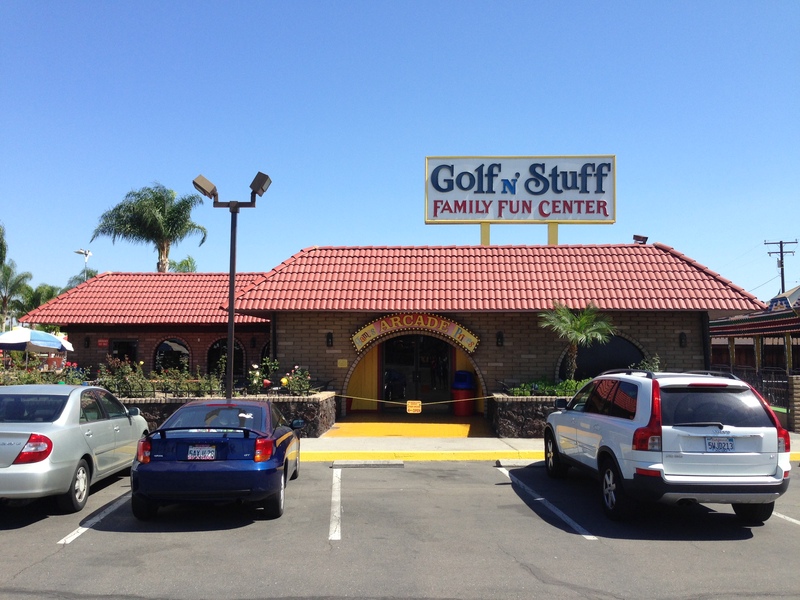 Amazingly, much of it is still intact, including the mini-putt golf and bumper boats. Here is a shot of the car park area today. This is the main entrance today. 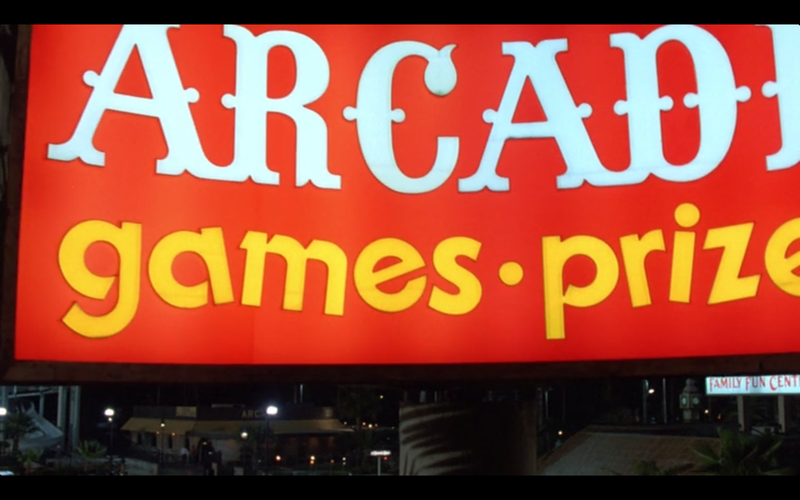 This arcade is now closed on weekdays, so we could not go in and see what it looks like inside. Here is how it appeared in the movie. And again in a later scene. Even the main sign at the front of the park is still there. 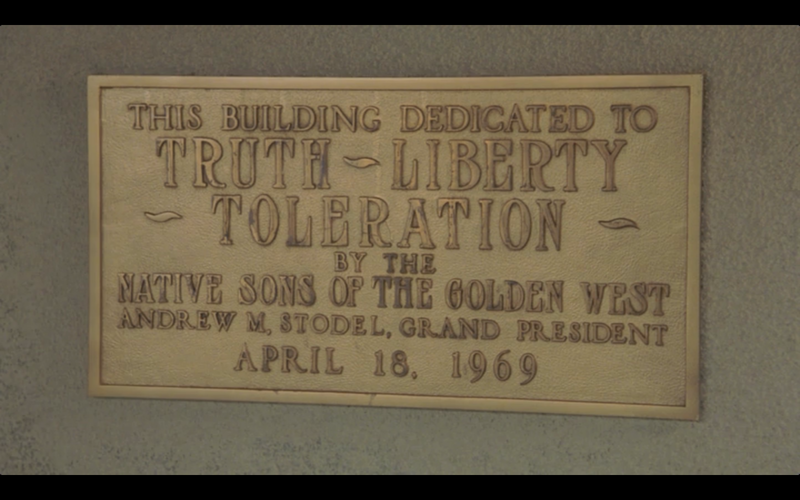 This is a glimpse of the same sign in the movie. 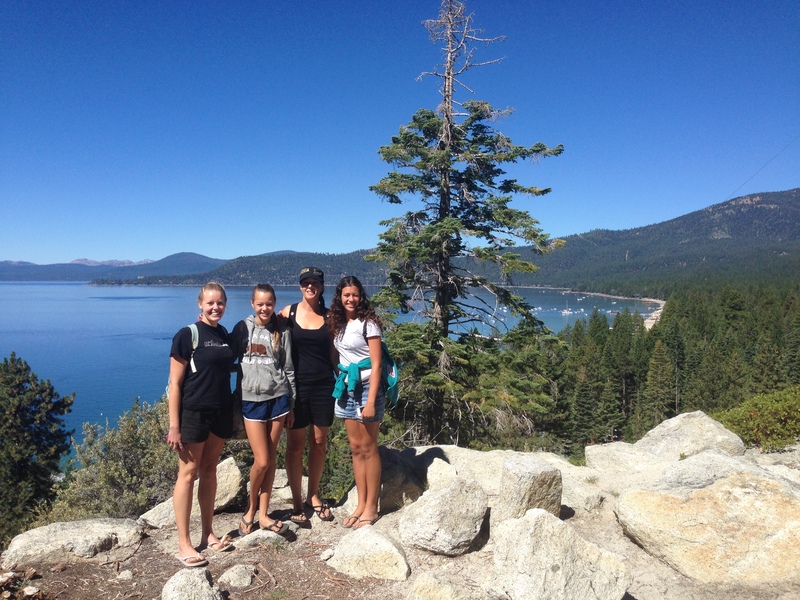 Last week, we returned to Lake Tahoe in Northern California. 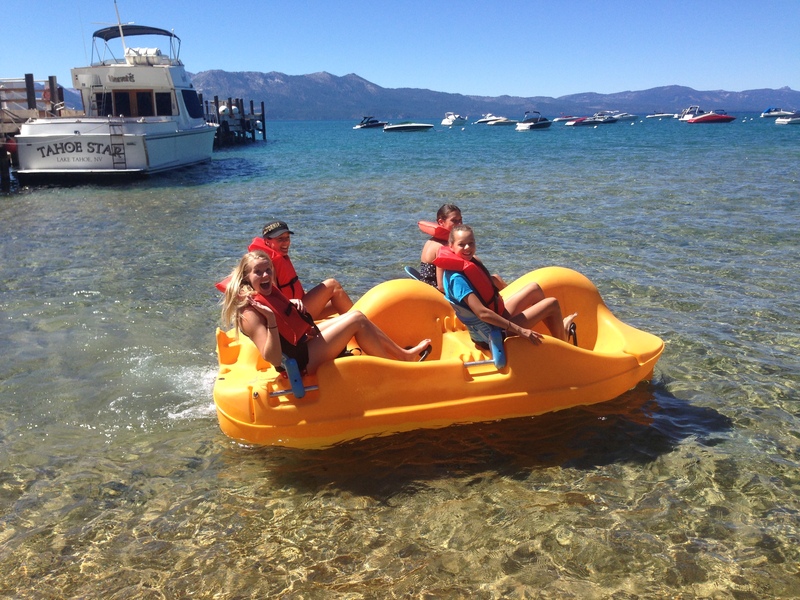 We were there last year when Denise’s parents visited last summer, but going to Tahoe is like Mecca for Denise, since she is such a huge fan of the TV show, Bonanza, and because Tahoe was the fictional setting for the show. Bonanza aside, Tahoe is a beautiful place to visit, and was once again made possible due to the generosity of our good friends and next-door neighbors in our apartment building. For this trip, we were accompanied by one of the youth group leaders at Placerita Baptist Church, Amanda Hovey, who has been instrumental in discipling, and loving on both Victoria and Maddy during our time here. We are very thankful for Amanda and were blessed to have her join us for the week, and for us to get to know her a little better. It sure made the week more fun! Amanda did ultimately triumph as Yahtzee champ, with a phenomenal score of 626, but I am sure we will get a chance to seek revenge! 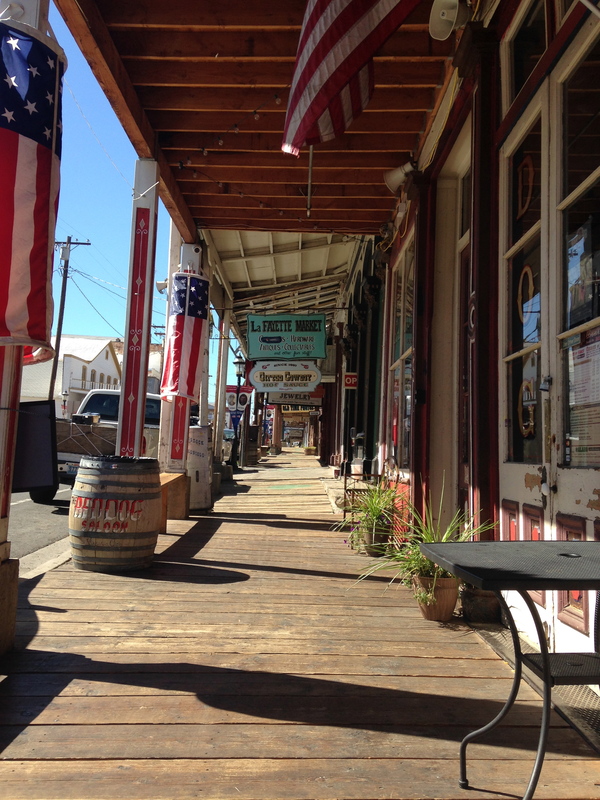 On the first full day in Tahoe, we went back to Virginia City, which is a favorite of ours to visit. On this return trip, we wanted to do the Stage Coach ride, but this was closed for the season, so we did one of the trolley tours instead. This was particularly informational, and gave us a better understanding of the history of the town, as well as introducing us to some of the historic buildings we missed last time. As a bonus, we saw several groups of wild horses grazing on the outskirts of the town. Throughout the rest week, we mostly relaxed, and hiked around the parts of the lake that we had not managed to see in our previous visit. 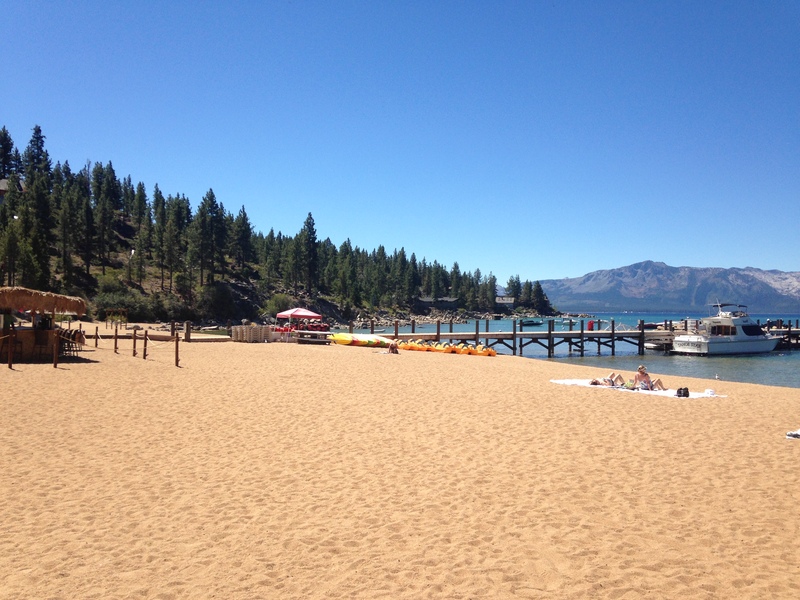 A day spent at Round Hill Pines Beach at Zephyr Cove, which is on the south-eastern side of the lake was a highlight. A popular resort for weddings and other gatherings, Round Hill Pines beach is a beautiful, golden beach, that had good amenities and facilities. Complete with a tiki-bar, it had that sense of a real resort. The beach itself consisted more of very small pebbles rather than sand, so it wasn’t conducive for making sandcastles, but it also meant that you didn’t carry home half of the beach’s sand in your gear and blankets. 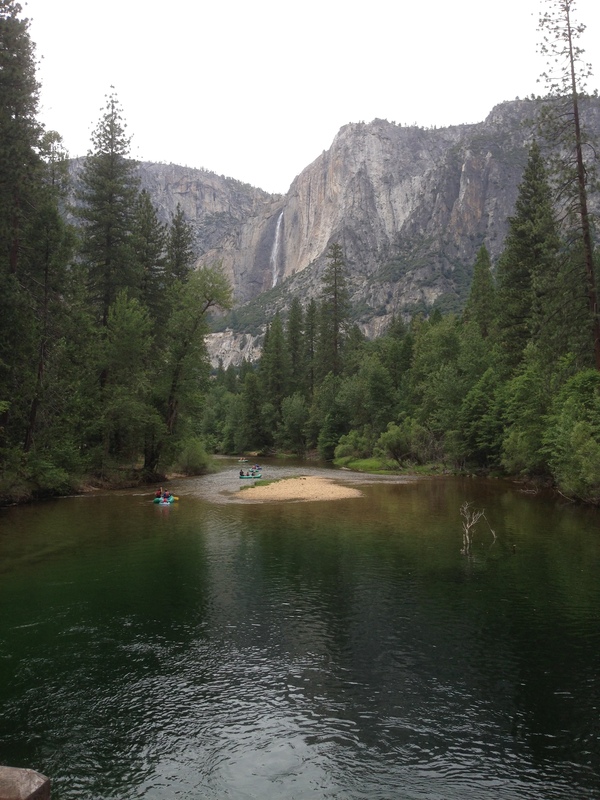 The water was not quite as cold as we expected, and was wonderfully clean and very clear. Although it has now been outlawed, we were allowed to do some crabbing on the rocks along the small jetty, with the proviso that we returned all that we caught. We managed to catch a couple dozen crawdads, which are essentially fresh-water crayfish. The kids loved this and really got into it! 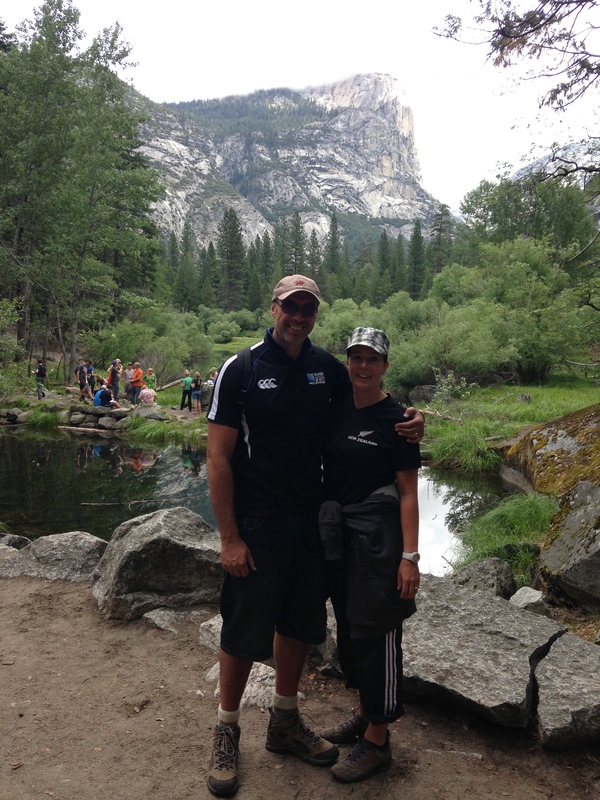 Two further highlights of the week, were the mile-long hike down to the Vikingsholm castle at Emerald Bay, as well as introducing Amanda to a little more NZ culture. For this, we made damper over the grill. Often the main food for bushmen, hunters and campers who spent days, or even weeks in remote bush, the damper turned out great, and we had fun cooking it. 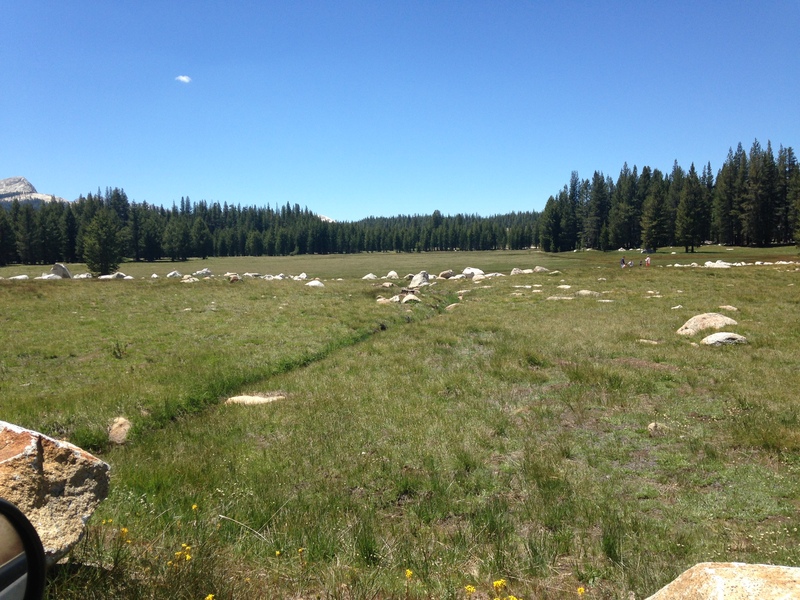 A visit to the historic town of Truckee rounded out a fun week, despite the fact that we failed in another attempt to spot a bear. Now that school is finished, we have the opportunity to do some fun things, as well as take a much-needed vacation. 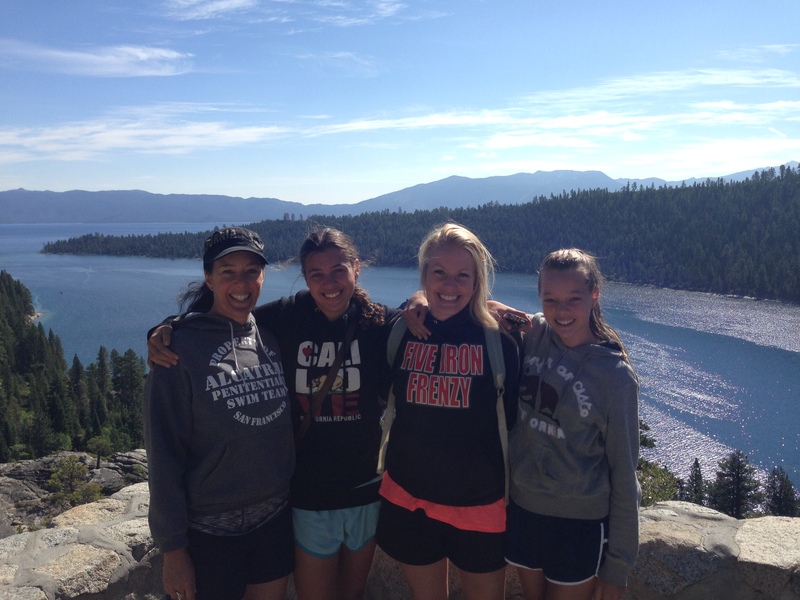 In the next couple of weeks, we will be spending a week in Tahoe, and another week traveling up to Seattle. That should be a fun trip, but it is a very long drive. 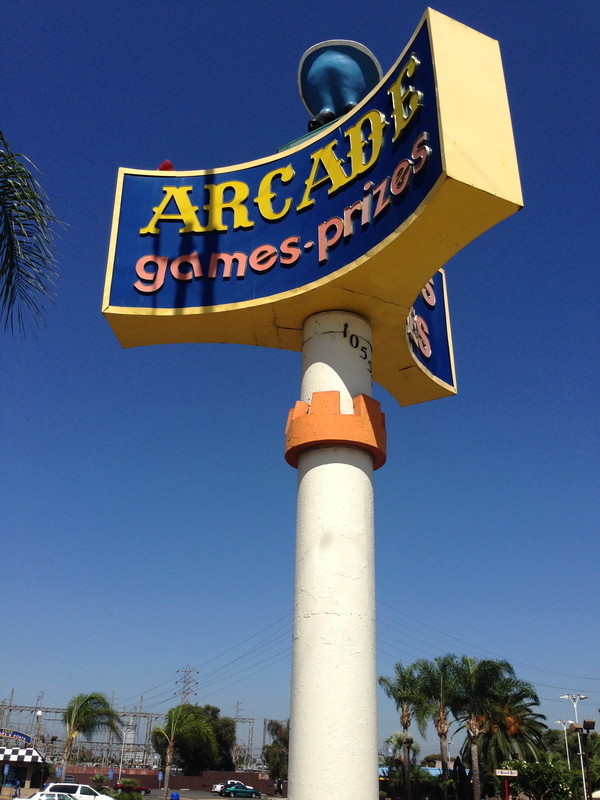 Yesterday, we took a day out, to travel around LA to find some of the sites that were used in the classic 1984 movie, The Karate Kid, starring Ralph Macchio and Pat Morita. We managed to get around most of the locations, but not all, as LA is a big city, and it takes hours of driving, not to mention battling a lot of traffic. We will save the other locations for another time. 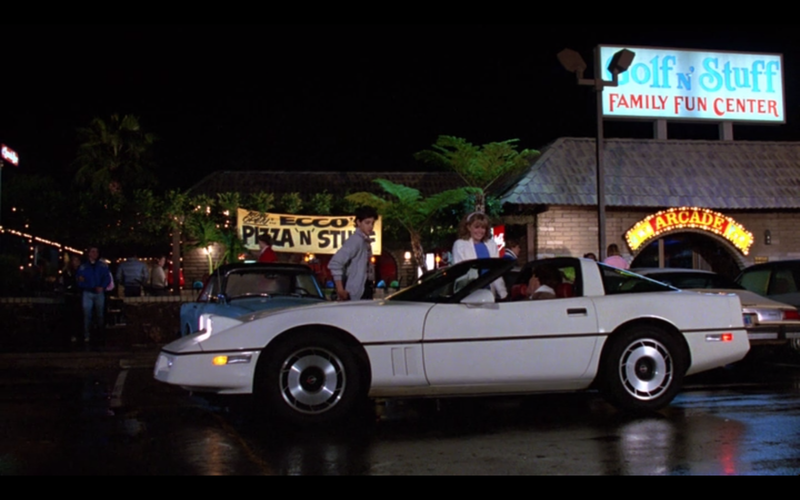 However, it was amazing that many of the locations in the movie, even after thirty years, have been virtually frozen in time. I have taken some stills from the movie, so you can see. 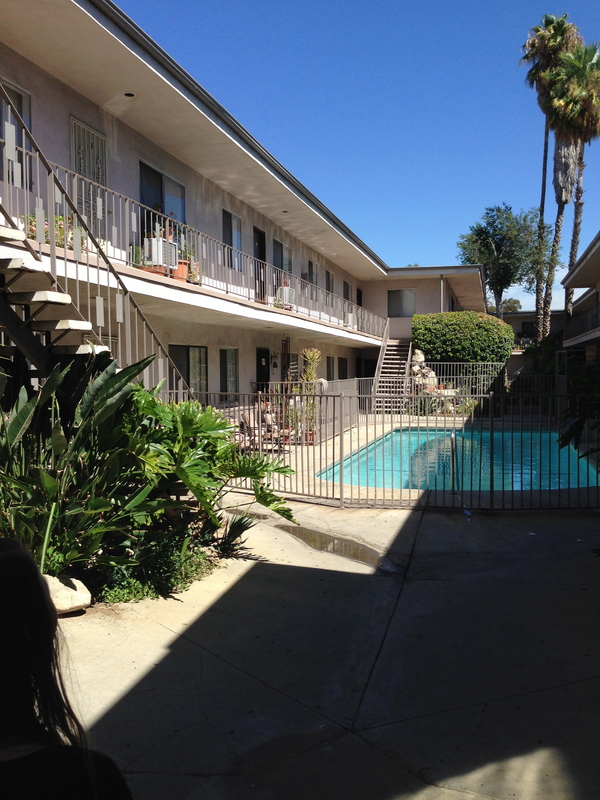 The first stop was the South Seas Apartments in Reseda. We have already commented on the apartment building here, which was the home of the LaRusso’s in the movie, but it was neat to go back there and revisit this awesome location. 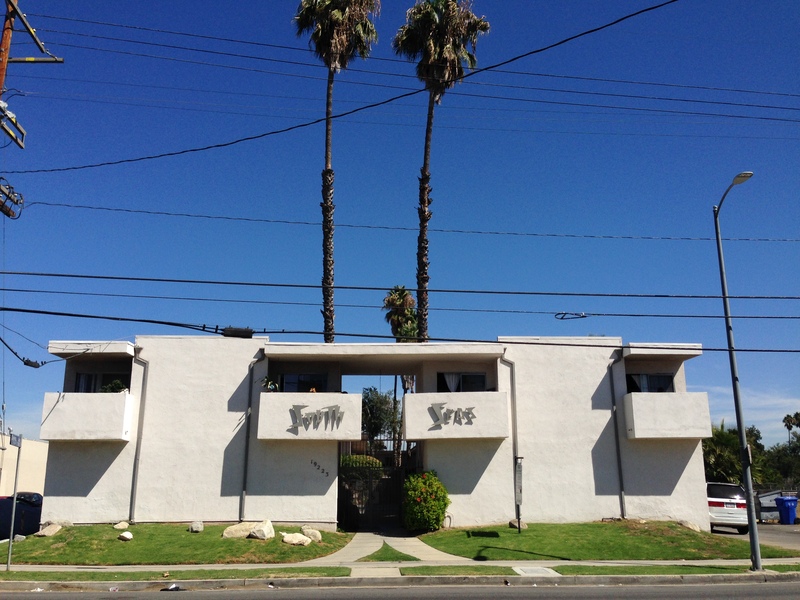 This is the South Seas Apartments today. 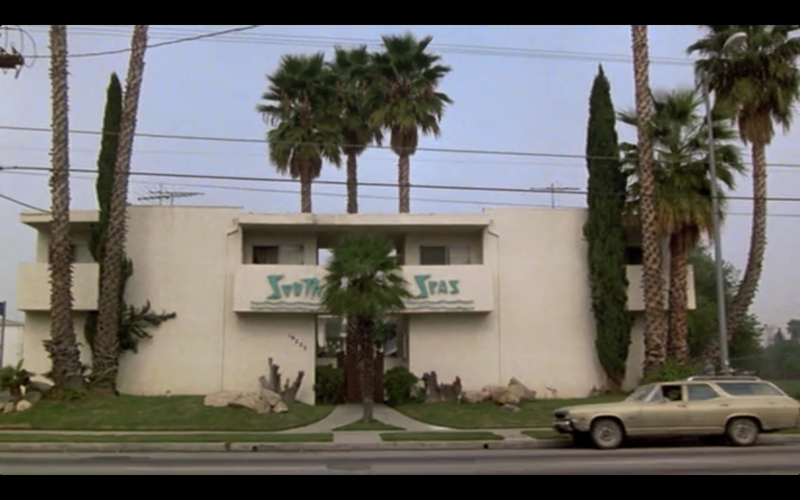 This is how the front of the apartment building appeared in the movie. This is the inside of the building today, as you enter the front gate. The pool looks a lot better than it did in the movie! 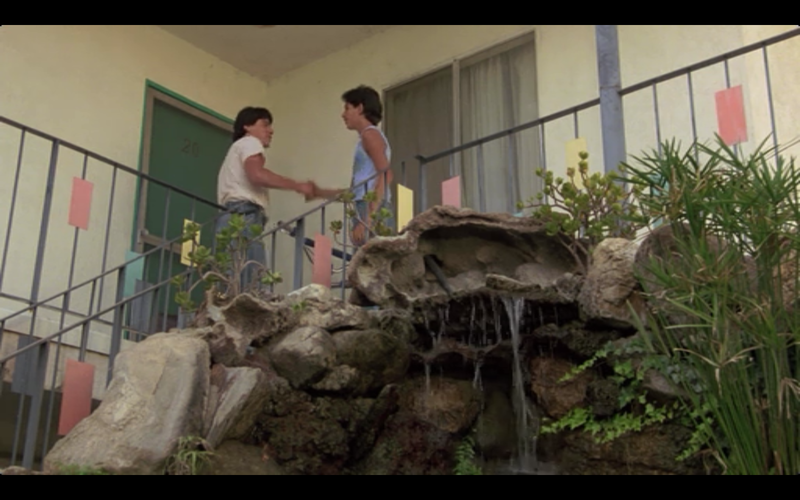 The LaRusso’s apartment (# 20) is up the far stairs, and in the far left-hand corner. 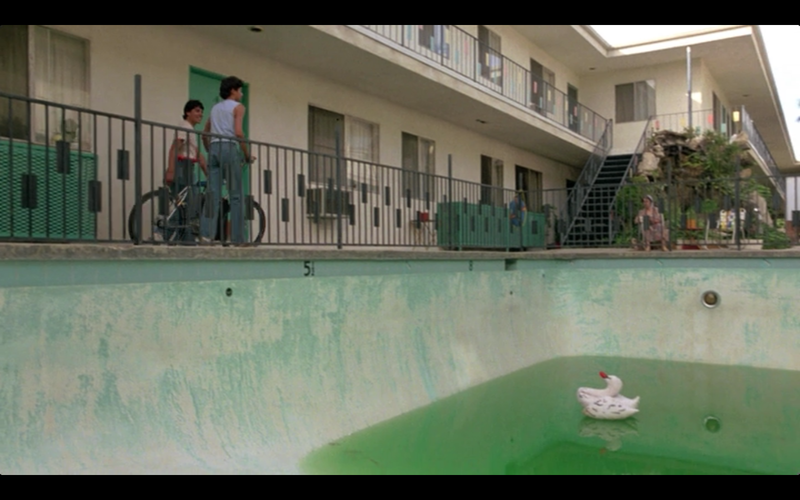 Here is a shot of the building interior as it was in the movie, where Daniel and Freddy are walking along the pool heading up to his apartment. 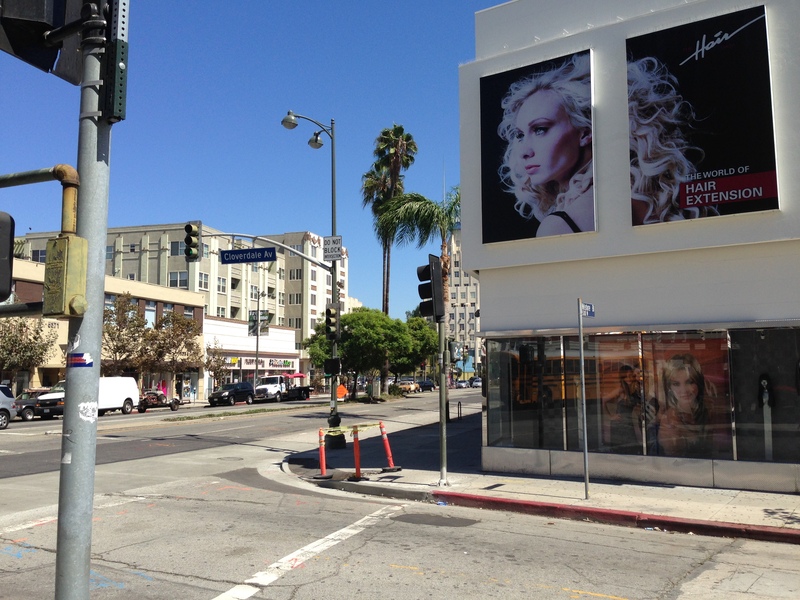 Apartment 20 as it appeared in the movie. 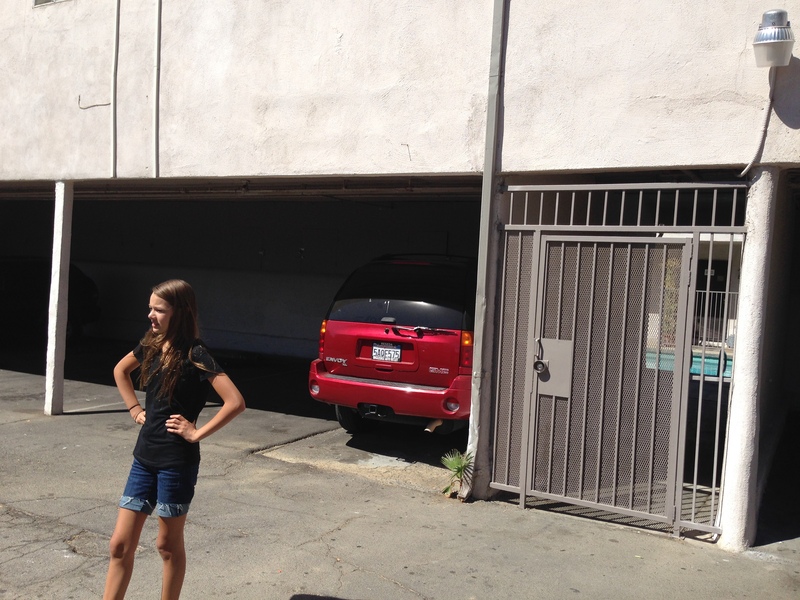 As you walk out the side gate of the building, you enter the car parking spaces. This is the side gate today, looking back toward the building. 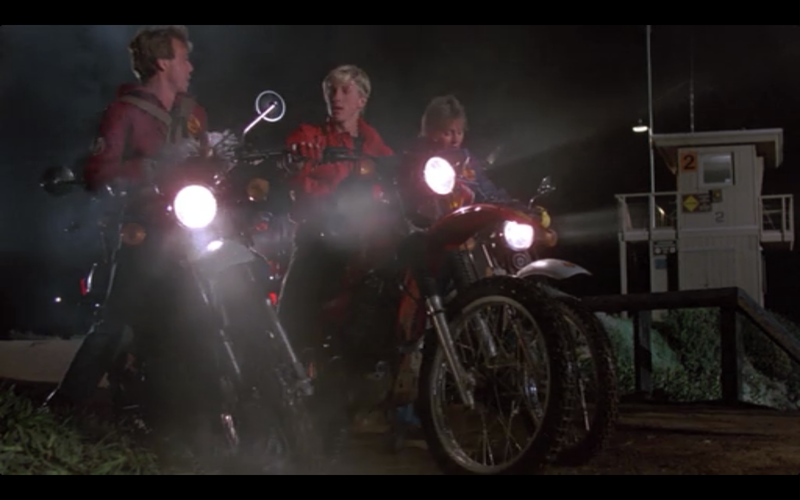 This is the side gate as it appeared in the movie. Miyagi’s workshop was constructed for the movie, filling the parking space directly to the left of the side gate (see above). 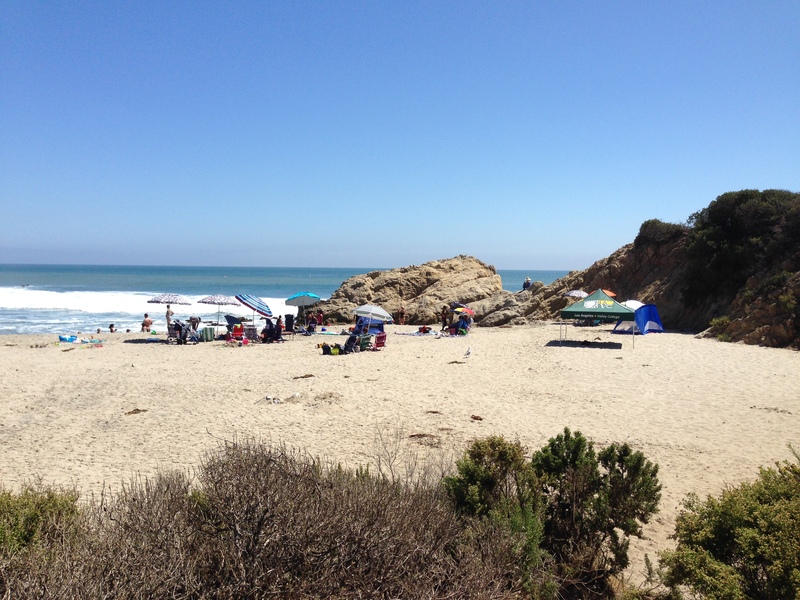 To find the beach scenes, we traveled to Leo Carillo State Beach in Malibu. This is the part of the beach today, where the the game of the soccer was played, where Daniel and his friends had a cook-out, and where Daniel took his first beating at the hands of the Cobra Kai. 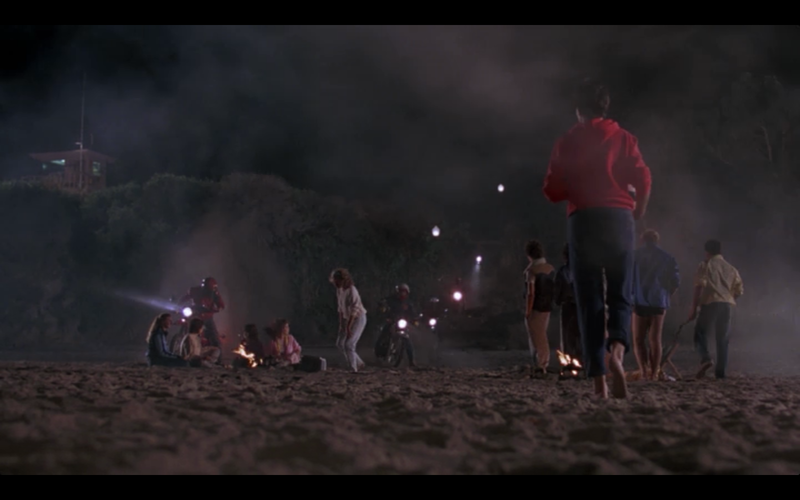 This is the same corner of the beach as it appeared in the movie. Directly overlooking this section of the beach, is where Johnny and the rest of the Cobra Kai’s were riding their motorcycles, pausing in front of the #2 lifeguard tower. Here is the tower today. 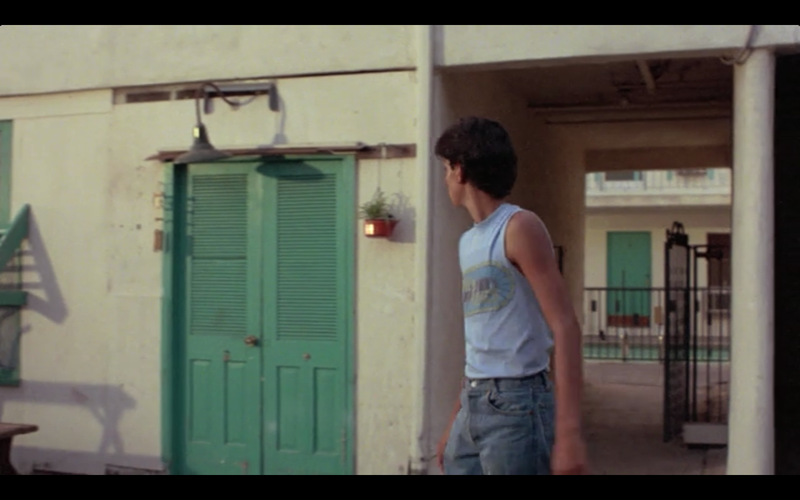 Here is a shot of that same lifeguard tower, which is clearly seen in the movie. 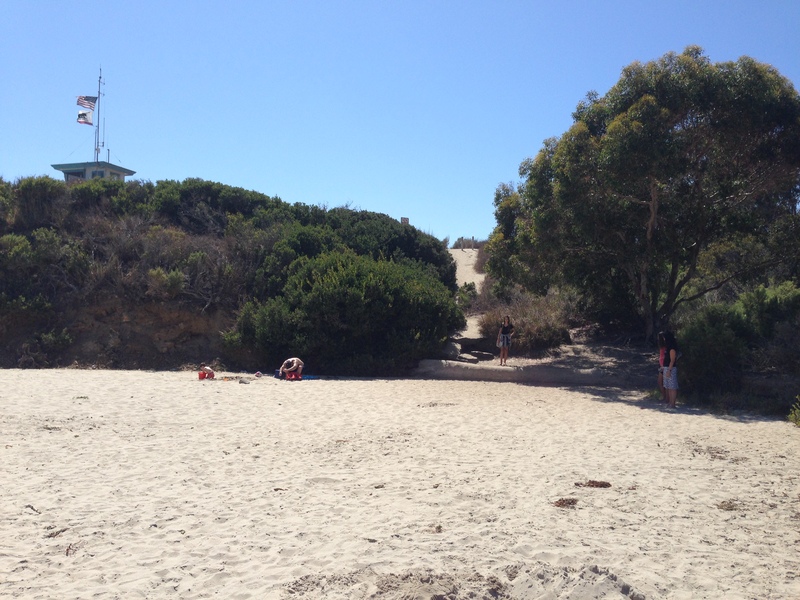 This is the path, as it looks today, that Johnny and the Cobra Kai’s rode their bikes down, and onto the beach. 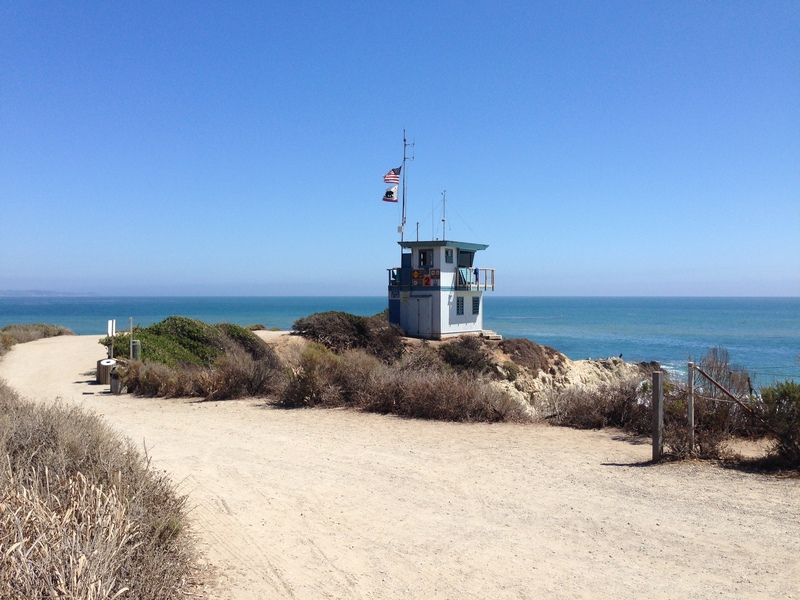 The overlooking lifeguard tower can be seen on the left. This is the scene in the movie. Notice the lifeguard tower on the left. 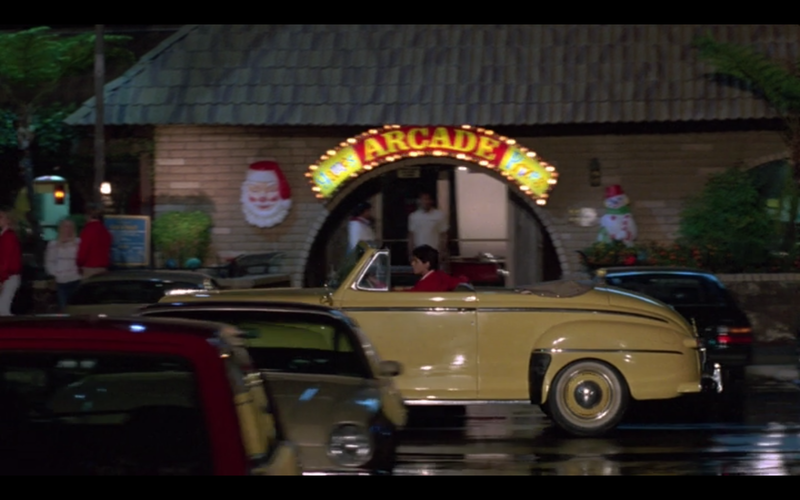 This is how the same covered walkway as it appeared in the movie. The school plague that is seen in the movie today. The same plague that was clearly seen in the movie. 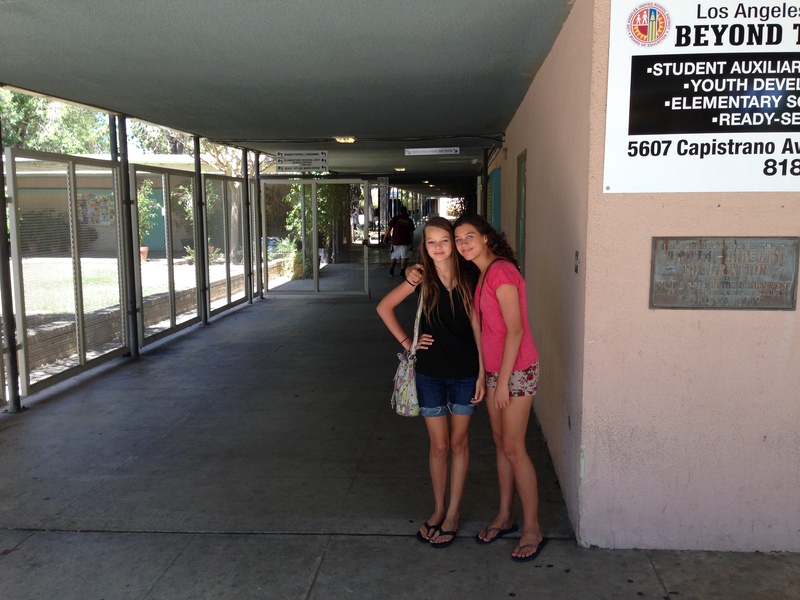 To find Ali’s house, we had to travel to Encino, a very exclusive and nice part of LA. 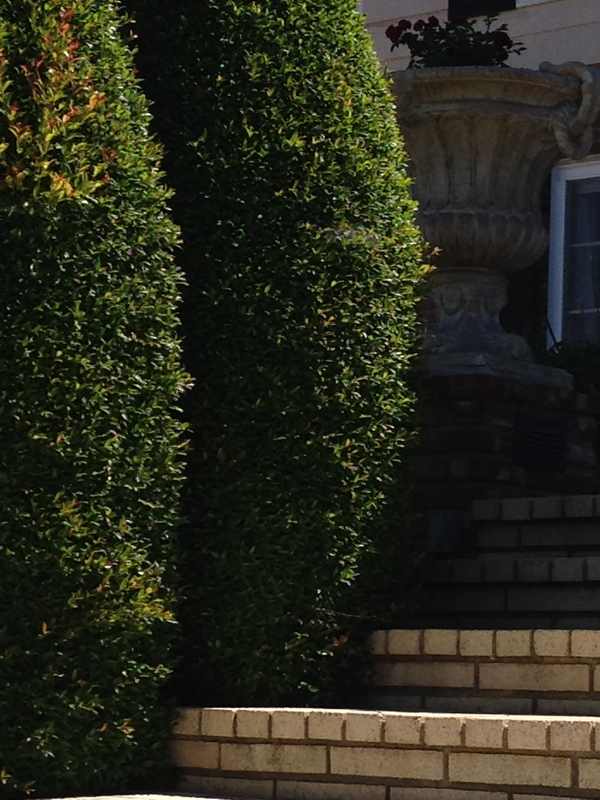 Here is Ali’s house today. Still frozen in time! 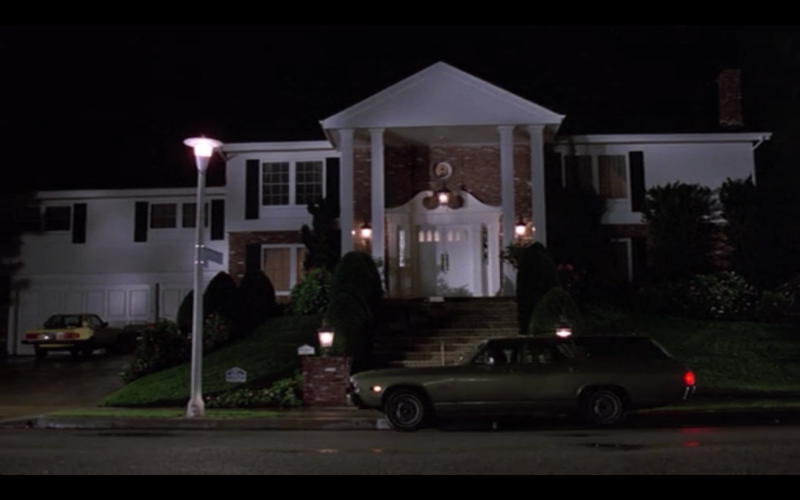 This is the same house as it appeared in the movie. 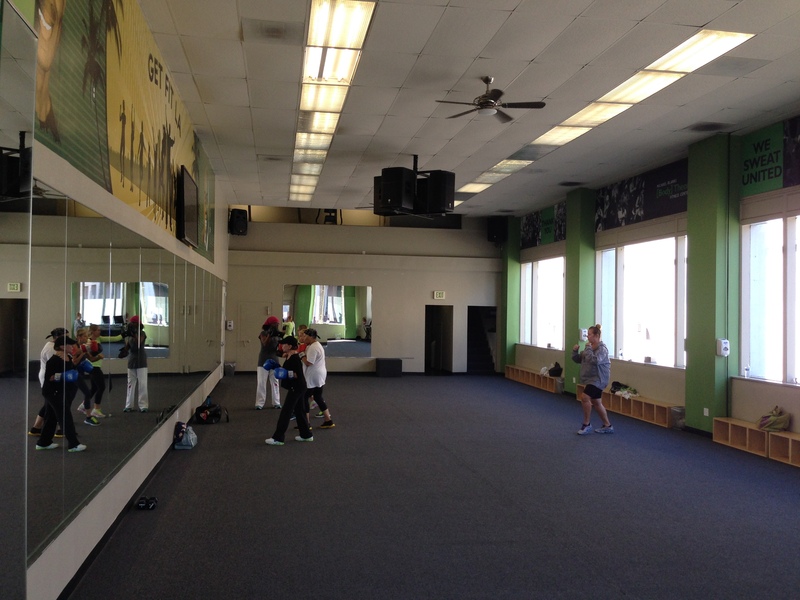 In the filming of the movie, two Cobra Kai dojos’s were used. Here is one. This is the location where Daniel and Miyagi went to confront Kreese. Here is the exterior of the building today. 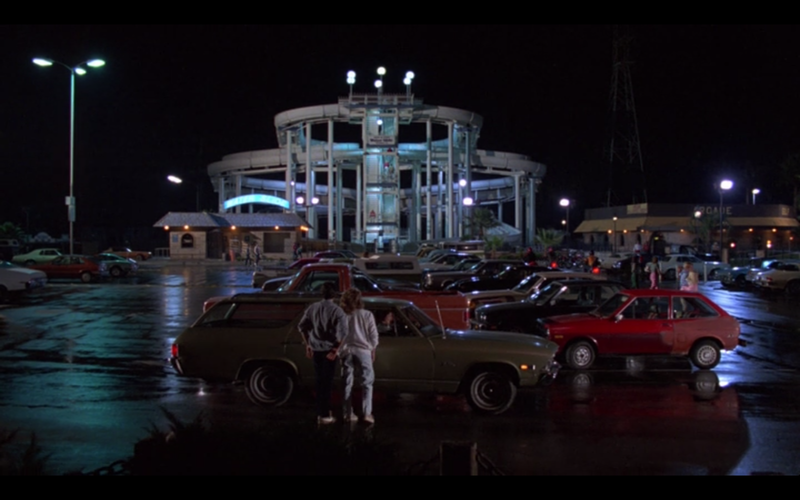 Here is the same building as it appeared in the movie. Posing as a mild-mannered potential customer, I managed to get inside the dojo, which is being used as dojo / fitness center. This is what is looks like today. 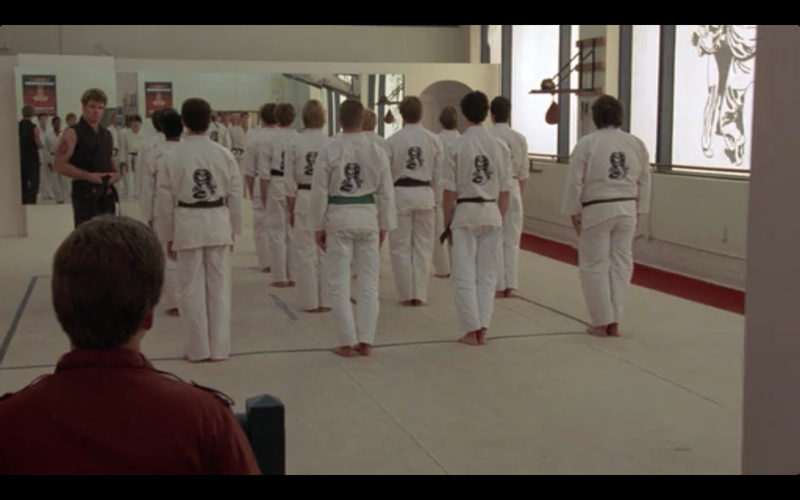 This is the inside of the dojo as it appeared in the movie. 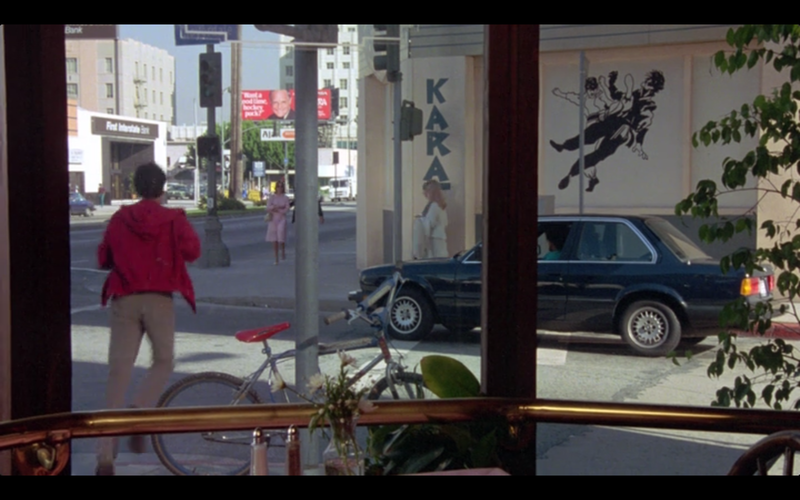 Stay tuned for the second installment of The Karate Kid Filming Locations. 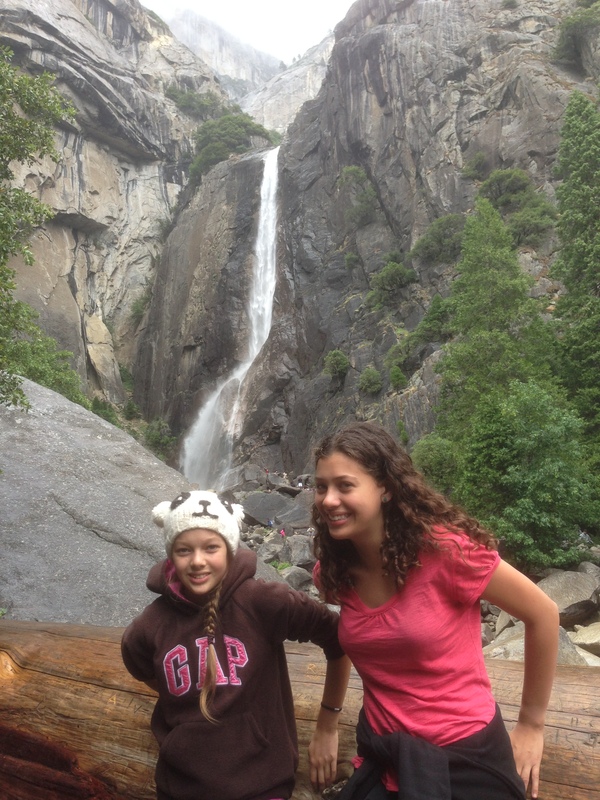 A few weeks ago, the girls went on a road trip with the Burling family. The trip started out with a long drive to Tombstone, Arizona, where we spent our time in a small town filled with gift shops, gunfight shows, old buildings, and even a “theme park” name Helldorado where you could play some games such as mini golf, pan for gold, watch a gunfight reenactment and even just enjoy the atmosphere. Being a western fan, Denise has always loved the idea of visiting Tombstone. 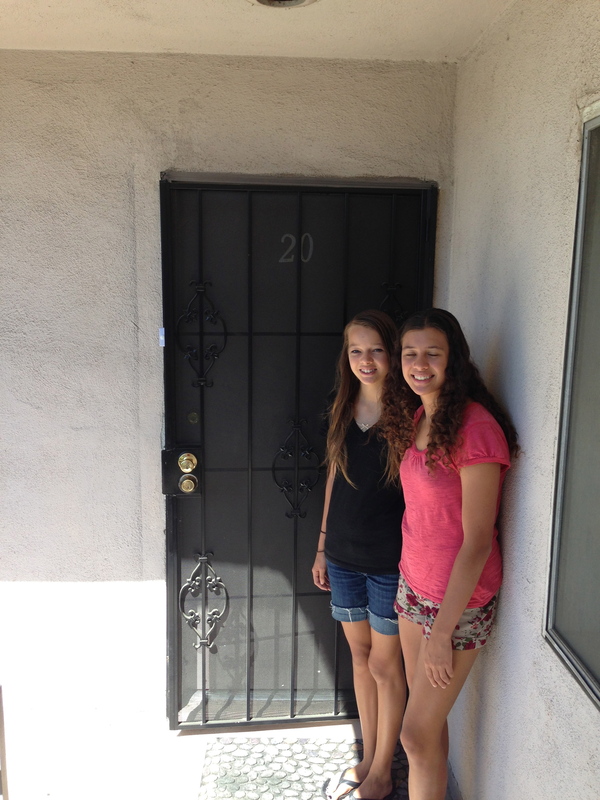 After staying there for a night, we continued on to El Paso, Texas. 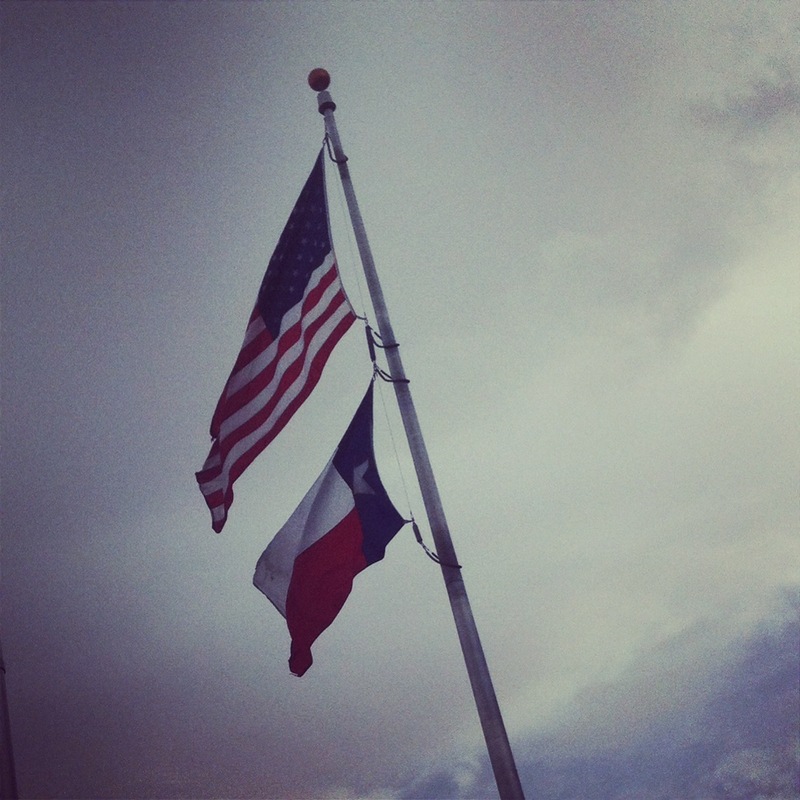 Since we have come all this way to California, we decided we might as well visit Texas! El Paso is a small border town on the edge of Texas, only a few miles from Ciudad Juarez, Mexico. We stayed just one night in El Paso, but drove up on a Scenic Route to view most of El Paso, and see some of Mexico. It was cold and foggy that day, but we still managed to get a good view of what was surrounding us. We couldn’t help but take a look at Historic Downtown El Paso. It had a very different feel, but what was familiar, was seeing a Starbucks right across from the parking lot. On our way to Roswell, New Mexico, the following day, we encountered some difficulty. Just 60 miles from El Paso we were stopped at the Border Control. 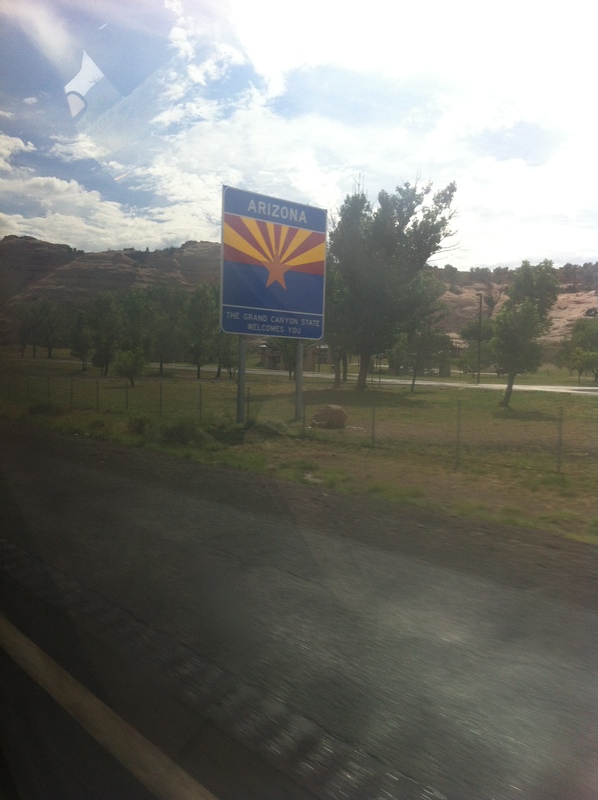 After a short while, everything was cleared up and we were continuing our journey to Roswell. We stayed two nights in Roswell and saw alot of ‘aliens’. Our friends we travelled with a very much into aliens, so they really wanted to visit Roswell. 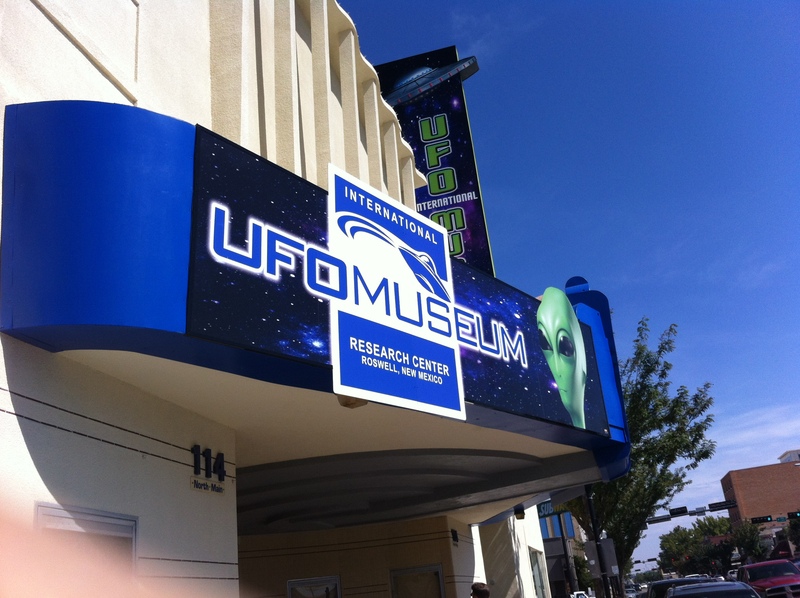 While we were there we visited the UFO Museum which was rather informative. To top that off we proceeded to Area 51- Alien Zone, where for a couple of dollars per person, we could take some photos with latex aliens all set up with different displays. Surprisingly, that was a ton of fun. 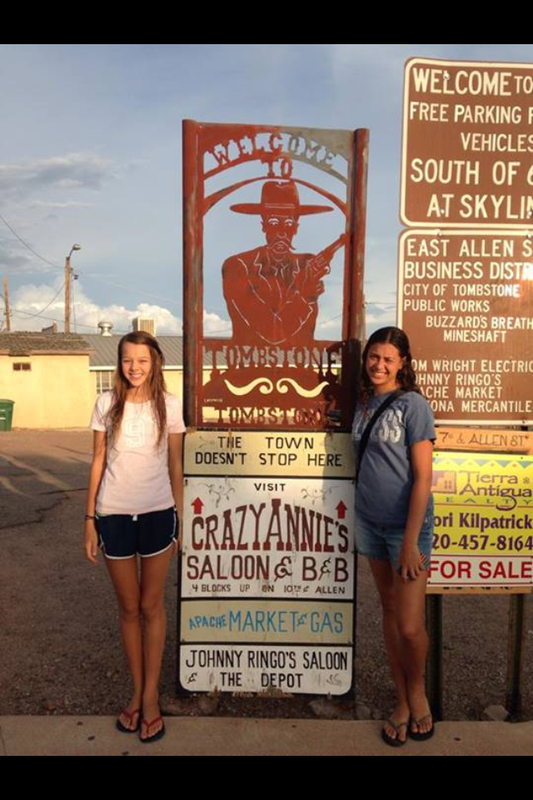 On our last leg of the journey, we spent a night in Williams, Arizona, just to break up the remainder of the trip. In Williams, we explored the small town which was mainly stocked with native Indian souvenirs. Overall we had an awesome trip, but it was very tiring as we travelled over 2000 miles. We enjoyed getting to see the country more before we head back home to New Zealand. Last weekend, we were pleased to meet up with a friend from New Zealand, Phil Rickerby. Phil attends our church back home, and he had spent the previous month back-packing around Canada, before spending a week in California. We invited Phil to spend the weekend with us, so we drove down to LA to pick him up. 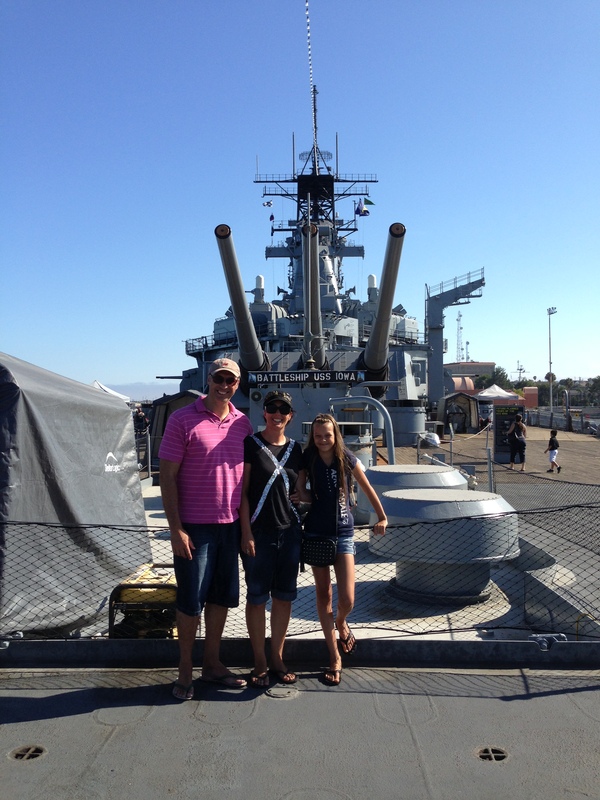 Before we headed back home, we went to San Pedro to tour around the USS Iowa battleship. The USS Iowa, known as the “Battleship of Presidents,” since it has hosted more US presidents than any other battleship, including Roosevelt, Reagan and George H. W. Bush, opened as a museum in July, 2012. 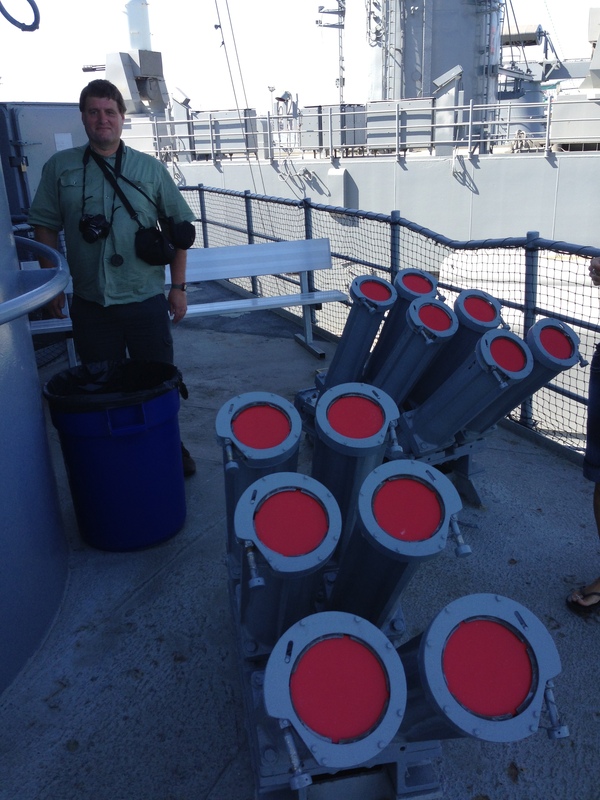 The tour on the battleship is essentially self-guided, which takes approximately 90 minutes. While the museum is still being completed, there are several guides stationed around the battleship to answer any questions, and an interesting gift store. Of particular interest is the bathtub that was installed specifically for President Roosevelt. 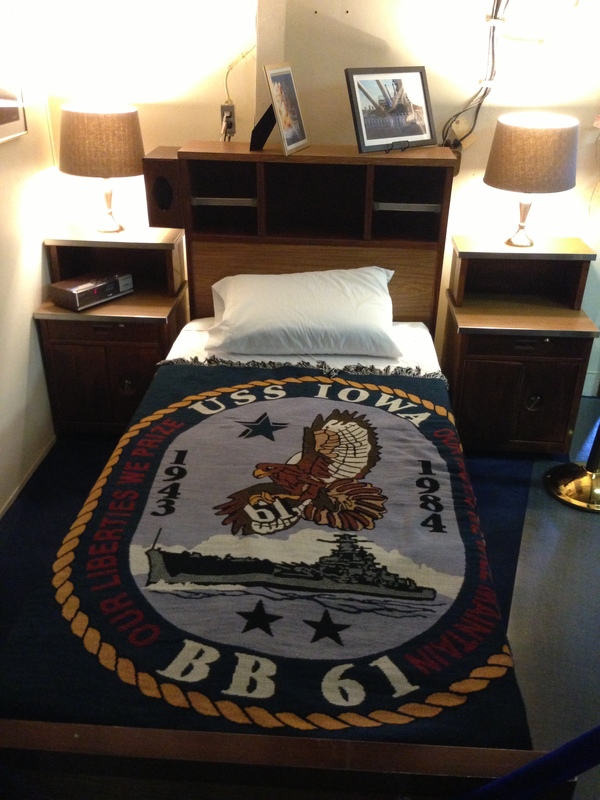 Built in 1940, the USS Iowa saw four decades of action through World War 2, the Korean War and the Cold War. In 1989, an explosion occurred in the Number Two 16-inch gun turret during a firing exercise, in which 47 crew members were killed and over a dozen injured. This proved to blight, an otherwise impeccable record of the battleship during it’s time in action. After finally being decommissioned in 1990, the battleship was used as a training vessel, until it’s arrival in the Port of Los Angeles.